Behold! 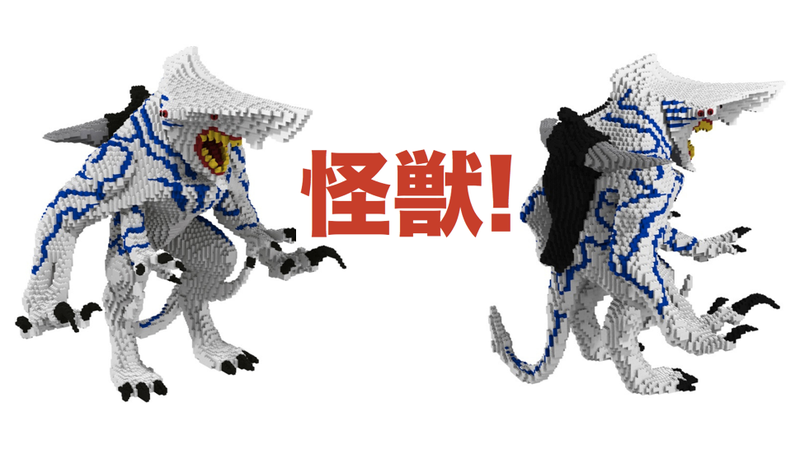 The World's First Pacific Rim-Inspired Lego Kaiju! From Lego builder extraordinaire, Olive Seon, comes the world's very first Lego Kaiju! Knifehead was the the largest Category III Kaiju, before it went up against Gipsy Danger, with its bulky, 4-armed frame and Jaeger-penetrating nose. This build lovingly captures all the intricate details of this horrific beast. You'll recall Seon's amazing workmanship from this Mothra diorama. Knifehead himself bears a resemblance to Guiron, a similar monster from the Gamera kaiju series. I love all the details in this build, the teeth, the eyes, the claws... There should be an entire series of Lego Kaiju! It&apos;s a Bird, It&apos;s a Plane... It&apos;s Giant Lego Mothra! Ever since I first watched Pacific Rim (I've seen it a few times by now), I thought the Jaegers and Kaiju were totally made for Lego. I can't wait to see more MOCs!